Connect with your friends, try to hunt each other on LAN or Online Battlegrounds. The goal is to use the sniper rifle to disarm the other. The trails are always on two different islands. Fairly distributed. If that is not enough, set bots for yourself. No time limit! No score limit! Just fun! Weapons and ammunition are constantly spawn. To get them, you better do it if you crawl and cover. The Online mode is now limited. Only 2 or 4 player in 1 room but you can add more bots for more funny! Later the places will be expanded! 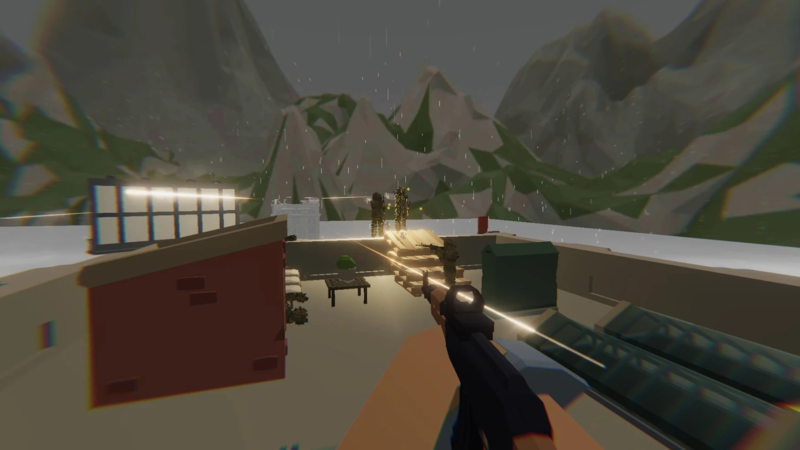 You can play in first and third person view!